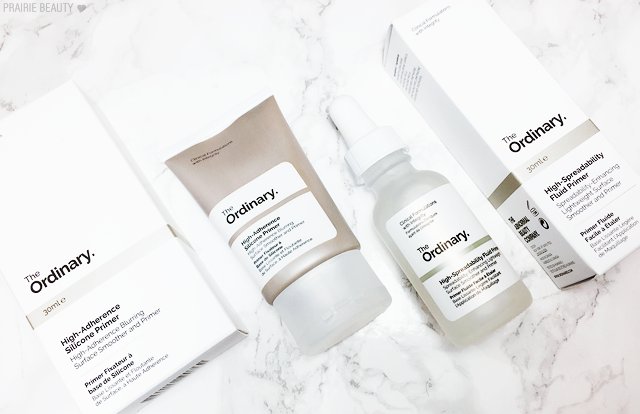 In 2017, there really has been no brand that has been more hyped than the highly affordable The Ordinary, from Deciem. Everyone is talking about the brand (including me) and new releases are selling like hotcakes. A while ago I managed to get my hands on the two primers that they released and I'm really happy to share them with you guys today! Also, if you're as hyped about about the new The Ordinary Colours Foundations as basically everyone seems to be, keep an eye out - I ordered both types the day they launched and I'm just waiting for them to arrive to me! Anyway, for more about these primers, keep reading! First off, if you're somehow unfamiliar with The Ordinary regardless of the hype, let me tell you a little bit about the brand. Basically, they set out to create simple but effective formulas using evidence backed ingredients without all of the bells and whistles of fancy packaging and marketing so that you can get a great product at a really affordable price. For me, there have definitely been hits and misses from the brand, but I think because skin care is so subjective that's probably going to be true for everyone. If you're interested in checking out more of the skin care products, check out the reviews I've done so far here, and if there's anything you're interested in a review on from the brand, just let me know! 30ml | $4.90CAD - This formula uses advanced adaptive silicones to act as a matte, hydrating, blurring primer for makeup that looks higher in definition and adheres for longer. The formula can also be used alone as a non-greasy hydrator that reduces the looks of pores and of imperfections. A lot of silicone primers that I've used in the past have been quite thick and sometimes even a little bit chalky, but this one has a much more lotion type consistency and I find that it sinks into the skin quite a bit quicker. I also find that though it does have some of that silky slip to the texture of it, it's a much lighter feel than other silicone primers I've used in the past. Of these two primers, I'd say this is definitely my lesser favorite, which I suspect is a skin type and preference kind of a thing. I actually really love this as a primer for matte foundations, because I feel like they play well together, but when paired with a dewier foundation this ends up being a bit of a slippery mess on the skin by the end of the day. That's definitely an issue that I tend to have with a lot of silicone foundations, though, so if you're a fan of this type of foundation you might not have the same issues I do. Overall, I think this is a good primer and I'm certain that a lot of people will love it. For me, personally, this is definitely one that I'm more likely to reach for with matte foundations. 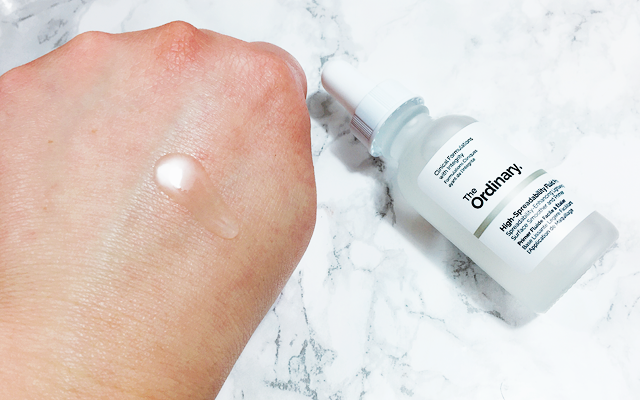 30ml | $7.90CAD -This new generation of primer is a lightweight serum-like formula that increases the spreadability of subsequent complexion makeup to help avoid the unnatural and uneven accumulation of pigments especially around the eyes and on dry skin. The formula also acts as a light, non-oily surface hydrator for a natural dewy look. I'm just going to say straight out the gate that this is my new favorite primer and I literally use it every time I wear makeup now, which is something no other primer has ever been able to say in my collection. As you can see, this is a much looser texture, but because it also contains silicone it has that really silky slip to it that makes it glide over the skin easily. I like to drop this directly onto my face from the dropper with a little bit on my forehead and each cheek and then smooth it in with my hands. I find it easily covers my skin without feeling heavy and sinks into the skin without disappearing. True to the "high-spreadability" claim of this primer, this really does help my makeup to glide over my skin, making a little bit go a much longer way. I also personally really like the finish of this, because while I wouldn't say it looks outright dewy, it does give a really natural, but quite smooth and flawless look to the skin. Every time I use this, my makeup ends up looking better and really does last longer throughout the day. I've almost gone through a whole bottle of this already - I know! - and I'm already planning on ordering another soon because I love it that much. For me, this would definitely be the one that I would recommend of the two primers. 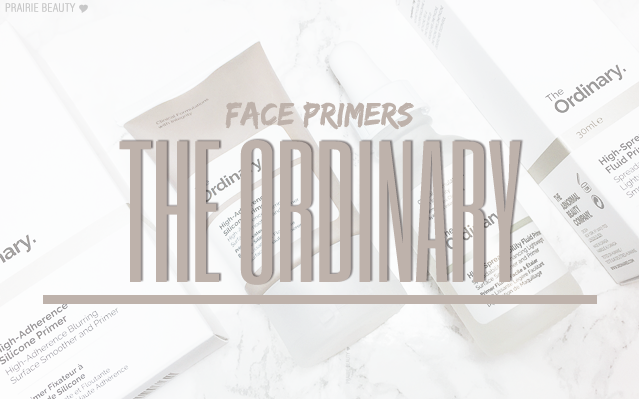 Overall, I think The Ordinary has really done a good job with their primers. I think that it will likely be a matter of taste which one you prefer - but for the price, it's really not hard to justify trying out both. Like I said, my personal recommendation would go to the High-Spreadability Fluid Primer, but I do think the High-Adherence Silicone Primer is also quite good, if not to my taste. 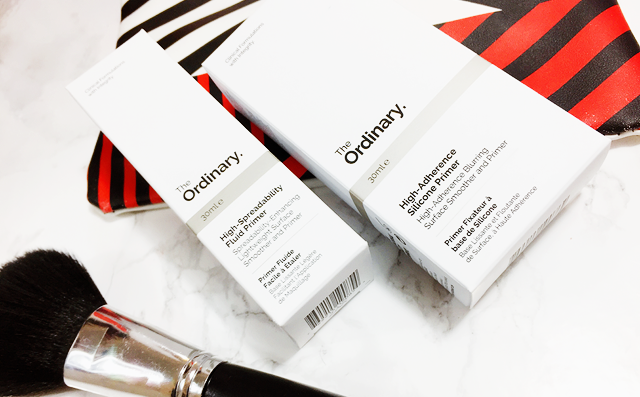 The Ordinary products are available on theordinary.com, Well.ca, and Beautylish!